The diskGO® USB 3.0 and Secure USB 3.0 Flash Drives deliver blazing fast speeds in a sleek, capless design. USB 3.0 transfer rates can reach up to 10 times faster than USB 2.0. It's easy to store and share HD videos, high resolution photos, music, and more at ultra-fast speeds. 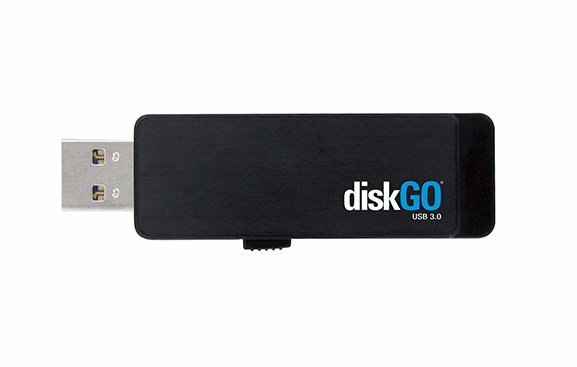 Simply plug the diskGO USB 3.0 Flash Drive into an available USB port of a computer to immediately begin storing files. The diskGO Secure USB 3.0 comes with CryptArchiver features either 256-bit AES or 448-bit Blowfish encryption. Data encrypted with CryptArchiver is protected using sophisticated encryption technology. Access the easy-to-use wizard to create an encrypted drive that allows users to drag and drop files to and from it. 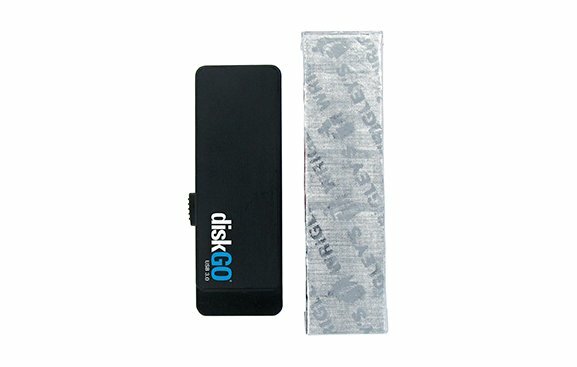 *The diskGO Secure USB 3.0 works as regular storage on a Mac, but the CryptArchiver software is Windows compatible only. 2.20" x 0.75" x 0.39"